SKU: PCC07. Categories: Miscellaneous Serving, Party & Event, Serving Equipment. 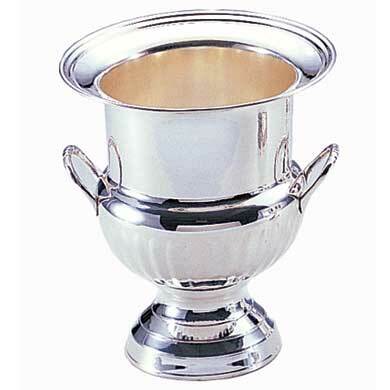 Tags: champagne cooler, silver, tabletop wine cooler, wine cooler. This wine bucket holds ice and one bottle of wine or champagne. A great item for the bride & groom or that special table of guests! We also carry wine buckets in a free-standing version which is rented separately. This free-standing wine bucket holds ice and one bottle of wine or champagne. A great item for the bride & groom or that special table of guests! We also carry this in a tabletop version which is rented separately.